There are lots of different ways to travel around London whether you choose to cycle, get the bus, take the tube or even travel by boat. 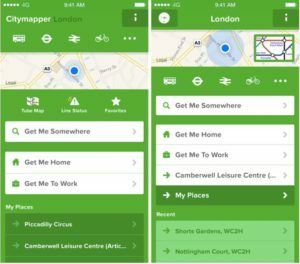 To find the best route to get somewhere in London, apps like Citymapper show you the different routes you can take, their duration and the costs for each. 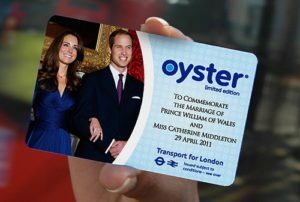 As a student you can get a student Oyster card which gives you 30% off travelcards and bus passes. Just make sure you do a good pose in the photo. For those travelling on the tube, lots of stations now have WiFi which you may access for free, depending on your mobile phone network. Many Londoners pass their travel time by catching up on the news with the Metro or London Evening Standard, both are free newspapers and can be picked up at any tube station. The Central and Victoria lines on the tube have just started running through the night on Fridays and Saturdays. Piccadilly, Jubilee and Northern lines will follow later in the year. So you don’t have to keep checking your watch to know when the last train is. London is full of public libraries with free membership available for anyone. 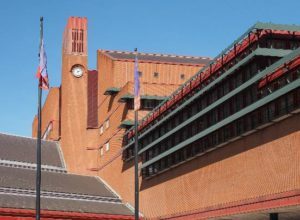 The British Library is an incredible building and a great place to work when you need some peace and quiet (and free WiFi!). It is also free for those who want to browse its historic archives. Most coffee shops also have free WiFi if you’re looking for a change of scenery while you work on your next assignment. London is one of the world’s leading business centres and is home to many global organisations. The London Campus is situated between the financial district and the digital hub of Shoreditch and Old Street. With growing business sectors, London is an excellent location to build your professional network with many work opportunities. One of the best things about London is the diversity. The city is home to people from all over the world and you can sample dishes from every culture in the infinite number of restaurants and cafes. London is full of amazing restaurants and late night takeaways from all cultures of the world. Try Broadway Market and Dalston’s Street Feast for alternative local hotspots. 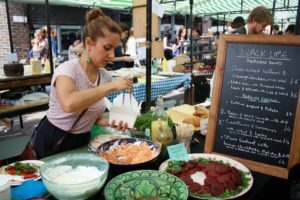 Even better, you don’t have to spend a lot of money to eat well in the city as there are often great offers to be found online and lots of different discount schemes that you can sign up for, like Tastecard. Always check whether somewhere offers student discount with your student card too. At any given point during the week, rest assured that there will be something to do in London. From music gigs or stand-up comedy to art exhibitions or guided tours there is always something to keep you entertained when you need a break from studying. Websites like Time Out and The Londonist have regular listings of things to do every week. Dating back 2,000 years, London is full of history. Within a short walk from our London Campus you can find Guildhall which is home to a hidden ancient Roman amphitheatre or pay a visit to the Museum of London to see how the city has evolved. Make sure you keep an eye out for some of London’s many blue plaques. 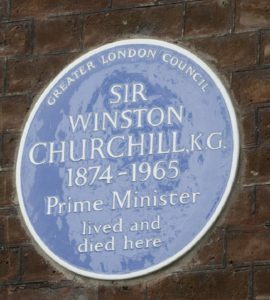 You can find these plaques on building structures and monuments all around the capital, each one will give you a unique insight into London’s rich and varied past. There are lots of things to do in London which are free to experience. If you’re looking for culture, many of London’s world class galleries and museums have free exhibitions, such as the British Museum, Natural History Museum, Science Museum and the Tate and Tate Modern. If you like sports, there are lots of different options to help save money as alternatives to going to the gym. Sites like Our Parks run free exercise sessions in lots of London’s parks and the city is full of lots of free running clubs. London isn’t just a huge city, it is made up of many different boroughs, each of which has its own character and it’s worth taking some time out to see what they are all about. London is a city of unique boroughs. Don’t be afraid of travelling slightly further afield to experience new places. 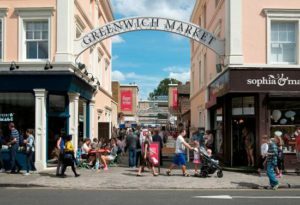 Greenwich, for example, will take 30 – 40 minutes to travel to from London Bridge, but it has a wonderful market town feel that you won’t get anywhere else in London. If shopping is your thing, then you’ll be spoilt for choice in London. Oxford Street is the busiest street in the UK, but the secret is to choose your shopping times wisely. We recommend late on a Thursday where shops are open until 9 or 10pm. Also, there are plenty of places where you can pick up some great bargains in London. 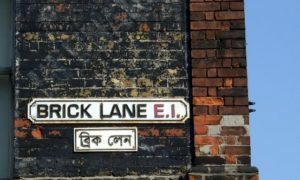 Most famous of which is Spitalfields, near the Northumbria University London Campus, where you can find clothes, vintage homewares and jewellery and handmade accessories and Portobello Road Market with its 200 year old history of antiques and posters. There are also large malls like the Westfield shopping centres in both Shepherds Bush and Stratford, packed full of the world’s biggest brands all under one roof. Shopping in London is a great way to relax and socialise outside of classes. With all that is on offer here, there’s something for every taste and budget. Although you might think it’s built up, 47% of London is actually green space with a huge range of public parks you can visit whether you are looking for a new cycle or running route, or a picnic spot for the summer. Hyde Park: home to a number of famous landmarks including the Serpentine Lake and near Kensington Palace. Large scale music events also happen here over summer. Primrose Hill: near the hub of Camden, from the top of Primrose Hill you can look out over the city skyline. Greenwich Park: dating back to Roman times, with excellent views over London, from here you can visit the Prime Meridian Line and the Old Royal Naval College which is often used in film sets. Or you can visit some of the more tucked away green spaces hidden in the city. Now you know some of London’s top secrets, enquire about studying at Northumbria University London Campus today. Our advisors and alumni can help to keep you clued up on everything the city has to offer.